The most important part of teaching is inspiration. Convey that, and the rest will follow. When teaching a Thermodynamics course, I got complaints from students that they thought the subject matter was very dry. It was hard getting through the book. I figured I'd make it more tangible by turning the course into a comic. One nice Christmas holiday later, with lots of hours spent drawing, the work is done. 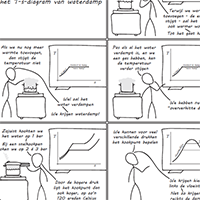 You can now study Thermodynamics through comics! The students were very excited. You can check it out, but beware: it is in Dutch. I may translate it at one point, but there are no definite plans for that yet. 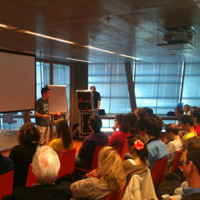 Some time ago I gave a TEDx talk on my ideas of how education can be improved. The great thing is: I've actually implemented these ideas and applied them to a course! In short, I've made animation videos that are adaptible. That is, the user can ask the video to become shorter (more summarized) or longer (more elaborate). In this way, we can give everyone education at the right level, saving lots of students tons of time. You can find some example videos on the dedicated website. The experiment has finished now, so they may be taken offline in the future. 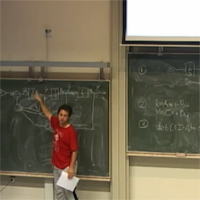 At the moment I teach at the Utrecht University of Applied Sciences. I teach Mechanical Engineering, varying which courses I give every year. I'm a trainer for the sport of Ultimate Frisbee. Over the years, I've taught a ton of new players the sport, including various kids at several schools in Zambia, which definitely was a memorable experience. I've also been coach of the Dutch national under 23 team, which has been an amazing experience. I've managed to teach these guys a couple of tricks, but they've also taught me so many things concerning group work, team dynamics, keeping people motivated, and more.